The historic backdrops in Prince William, Manassas, and Loudoun, Virginia are overflowing with opportunities for your group’s creative spirit to flourish. Create your next masterpiece in the backdrop of an 18th century home, craft your own chef-inspired dinner, and see works of impeccable art on your journey through Northern Virginia. Arrive in Middleburg, VA and enjoy lunch included at the Red Fox Inn, listed on the National Register of Historic Places. Originally built in 1728, The Red Fox Inn & Tavern has offered uninterrupted hospitality for more than 275 years, making it the oldest continually operated inn in the US. History unfolded in and around it, and numerous historical figures took shelter in its fieldstone walls. Famous guests have included Elizabeth Taylor and Jacqueline Kennedy Onassis, who frequently stayed at the inn during fox hunting holidays. After lunch, tour the inn and enjoy the art that adds to the ambiance of the historic site. Stroll and shop along the streets of Middleburg, home to multiple art galleries within walking distance, boutiques shops and antique stores to peak anyone’s interest. Middleburg was once considered a part-time residence by John F Kennedy and his family while the community fought segregation. Take a tour at the National Sporting Museum and Art Library, where you will see the rare book room, and find out what a ‘fore-edge’ book is. Dedicated to preserving, promoting and sharing the literature, art and culture of equestrian, angling and field sports. Founded in 1954, the Museum, a renovated and expanded historic building on the Library campus, houses exhibits of American and European animal and sporting art. Check-in to your local hotel and head to dinner with a twist at Cookology-Recreational Culinary School, where the art of preparing dinner is part of the evening. Learn to make Beef Wellington or take part in an Iron-Chef style competition, where the ingredients are a mystery until you begin the challenge. If dessert is all you’re feeling, Cupcake Wars it is. Take an art tour of Morven Park. The guide will speak to the architecture and decorating style of the late 19th century which Marguerite Davis preferred. Home to former Virginia governor Westmoreland Davis and his wife Marguerite, the Davis furnishings, which include 16th-century Belgian tapestries, hundreds of silver pieces, Hudson River Valley paintings, and Asian treasures play a major role in the home today. Spend some time enjoying the rich history of Downtown Historic Leesburg, established in 1758. Take some time to shop and explore during your time in this quaint Virginia town. Make sure to visit the galleries located around downtown. Visit Tuscarora Mill for lunch included. Known colloquially as "Tuskie’s", the restaurant has earned its reputation through its "authentically local" experience felt in the ambiance and décor, conveyed by the passionate staff, and evident in the quality cuisine. Have you ever wanted to watch an artist work, or hear about their process? Attend a mix between a seminar and demo – a “demonar” at the Cooley Gallery. Washington Redskins tight end and fan favorite Chris Cooley opened this art gallery to feature his pottery and painting as well as works by other local artists, including pottery by Bill van Gilder, Richard Busch, and David Norton. Arrive at the Center for the Arts at the Candy Factory for a dance lesson. This artist haven is known for its history as a former candy manufacturer, set along the historic railroad which once served Civil War soldiers. During your visit, you’ll want to experience their rotating exhibit of art from all styles in the Caton Merchant Family Gallery. Next, travel toward the Hylton Performing Arts Center for an evening performance of your choice, accompanied by a delectable meal. This new program, Performance A La Carte, allows you to choose the date and style of entertainment for your group. 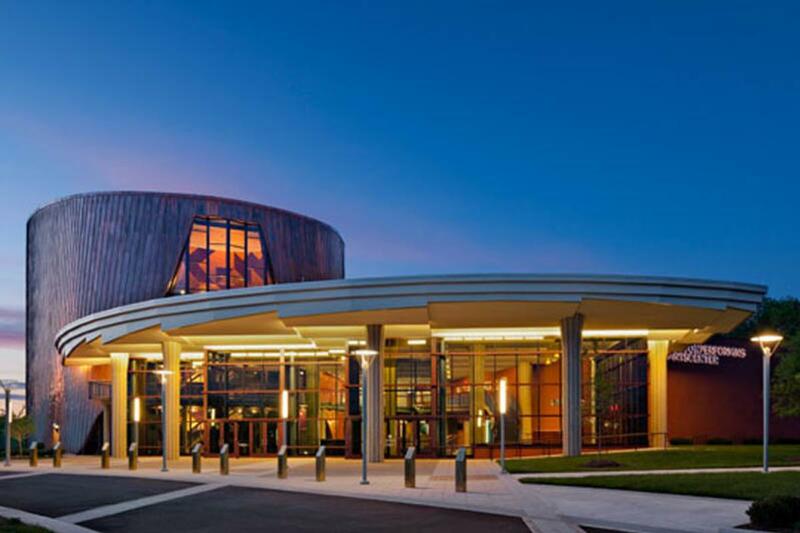 Choose from music productions or theatrical shows and let the Hylton Center’s team do the rest! During your visit, browse their rotating collection of regional artists in the Buchannan Partners Art Gallery. This morning, trace your roots back to Abraham Lincoln or Stonewall Jackson as you enjoy a plein air painting class at Ben Lomond Historic Site. Both plantation homes were used heavily during the Civil War and the preserved architecture makes a wonderful backdrop for your artistic masterpiece. Prepare for a howlin’ good time at Jukebox Diner, a 1950’s themed diner serving all your favorite homemade dishes. Be sure to put on your Blue suede shoes this afternoon because Elvis will perform for your group during lunch. Feel free to get up and dance to classics like Jailhouse Rock, Hound Dog, and All Shook Up. Later, you’ll spend time browsing the numerous pieces of public art and boutique shops in Historic Downtown Manassas. Peruse the work of over 30 local potters at Manassas Clay or go behind the scenes to see the studio at Creative Brush. All the shops in Historic Downtown Manassas are locally owned and as unique as the treasures they offer inside. Did you know the Marine Corps has their own gauntlet of artists to capture and document history being made before us on the front lines and at home? Part of the National Museum of the Marine Corps’ multi-year expansion includes a Combat Artist Gallery and Studio, where you’ll be able to have a VIP experience with the resident Marine artists. This distinctive gallery will shine an artistic light on what it means to be an American. You may also get a peek into their private art collection, an experience not open to the public! End your day with a relaxing dinner on the water at The Harbour Grille, overlooking the Occoquan Harbour Marina and namesake river. Their head chef creates his own work of art for you to savor with his waterfront inspired cuisine. On your final morning, enjoy a tour of Rippon Lodge, a historic plantation with stunning views of the Potomac River. During your tour of the home, see the painting of Admiral Black, the last person to speak to Amelia Earhart before her disappearance. The home’s original owner was also good friends with then General George Washington.